We are one of the master manufacturers and suppliers of a wide range of SS Hooks. These SS Hooks are manufactured using high grade stainless steel procured from our reliable vendors. We are extensively applauded for the unmatched quality and high efficiency of our products. These are available in market in carious standard sizes as per the choices of our clients. Our product range includes SS Forged Hook Bolt, SS Forged Hook Bolt2, SS J Hook Pin Belt Hook Ring and SS Belt Hook Ring Hook Pin. We offer our clients a durable range of SS Forged Hook Bolts which is made by premium quality stainless steel. 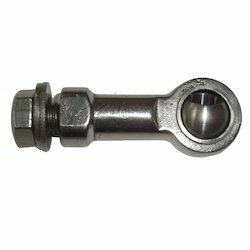 These are made by following international industry standards and are very sturdy in construction and dimensionally accurate. SS Forged Hook Bolts offered by us are widely used in various beverage, food and dairy industries. As our products are highly durable, reliable and resistant from rust and friction these are high in demand. Moreover, we also offer customized solution as per the choices of our clients. Being one of the renowned manufacturers and suppliers we offer our clients a diversified range of SS J Hook Pin Belt Hook Rings. Designed and developed using unmatched quality stainless steel these SS J Hook Pin Belt Hook Rings are high in quality and robust in design. One can avail these products in various standard sizes as per their choices. Our products find their wide application in various earthmovers, tractors, and spare parts. 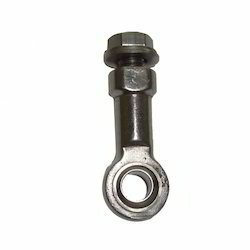 Counted among one of the reliable manufacturers and suppliers we are involved in offering extensive range of SS Forged Hook Bolt2 to our esteemed clients. These bolts are very easy to install and maintain. Manufactured using high grade stainless steel this SS Forged Hook Bolt2 is highly durable and resistant from rust and friction. 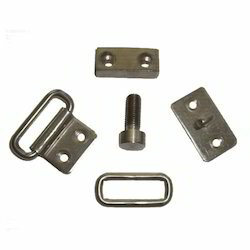 Our organization offers these bolts in various sizes and dimensions as per the choices of our clients. 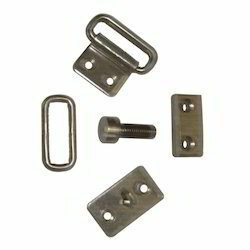 Owing to the presence of our expert engineers we are able to manufacture a wide range of SS Belt Hook Ring Hook Pins. We use premium quality stainless steel to manufacture these SS Belt Hook Ring Hook Pins and assure our clients for the high durability and reliability of our products. With the availability in various sizes and dimensions these products are easily available in market. Looking for Stainless Steel Hooks ?